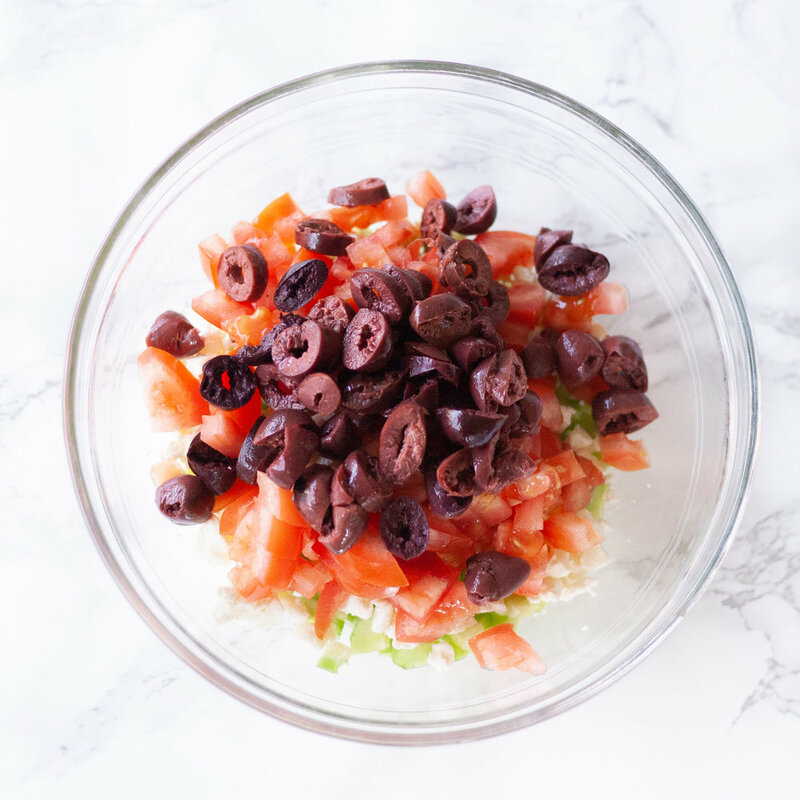 Healthy, easy and packed with nutrition, crispy chickpeas in a mediterranean salad. Line baking sheet with foil, or use a silpat to avoid sticking. Spray with non-stick spray if using foil. 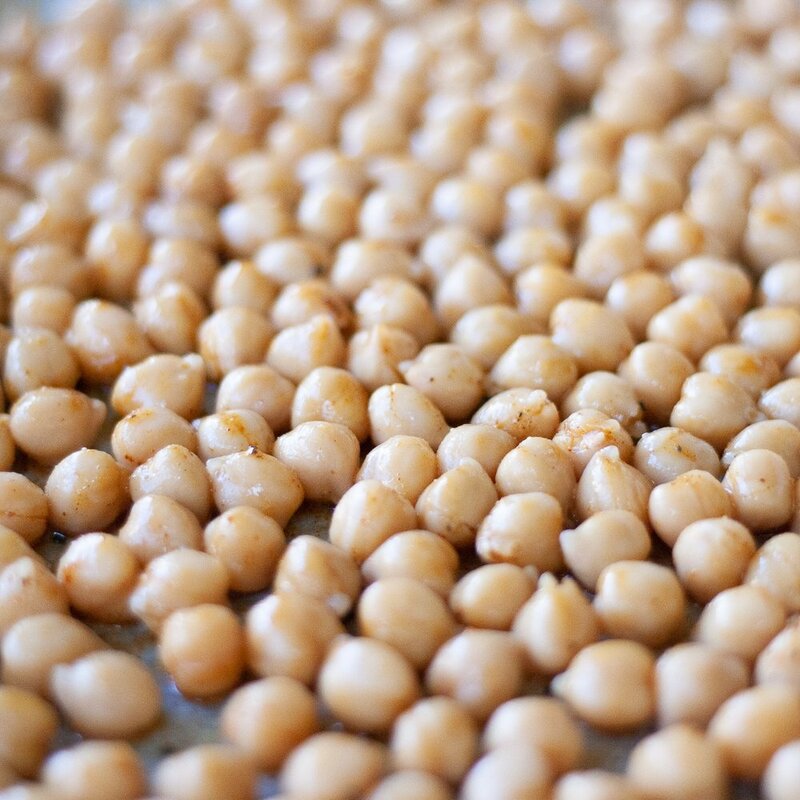 Rinse chickpeas in water to remove brine. 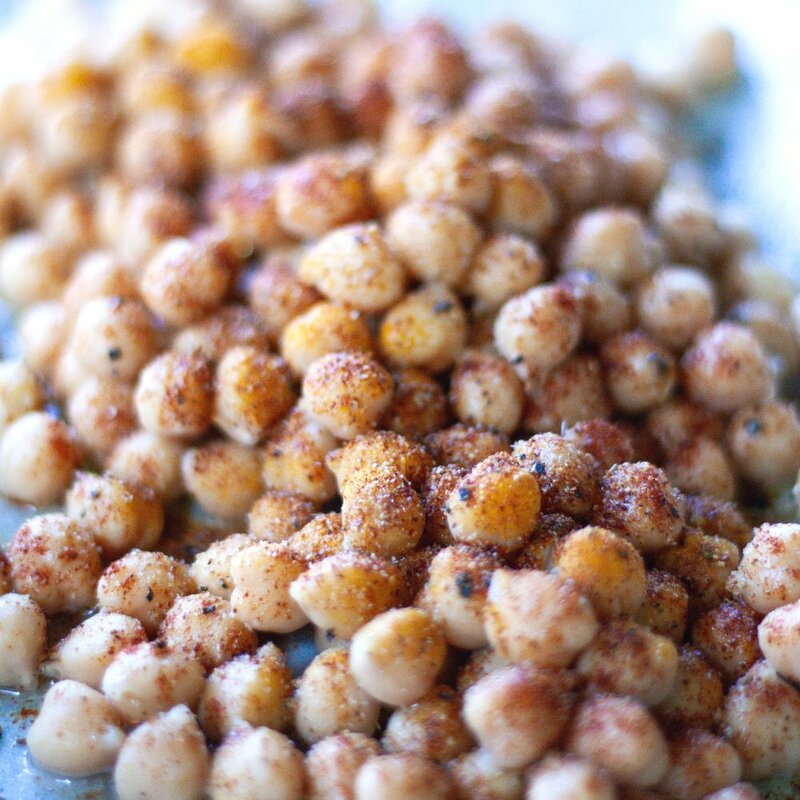 Combine chickpeas in a large bowl with 1 tsp olive oil, 1/4 tsp turmuric, 1/4 tsp cayenne, 1/4 tsp smoked paprika, 1/4 tsp cumin. Bake at 400° for 25 minutes. While your chickpeas are roasting, chop tomatoes, persian cucumers, and kalamata olives into small bite size pieces. 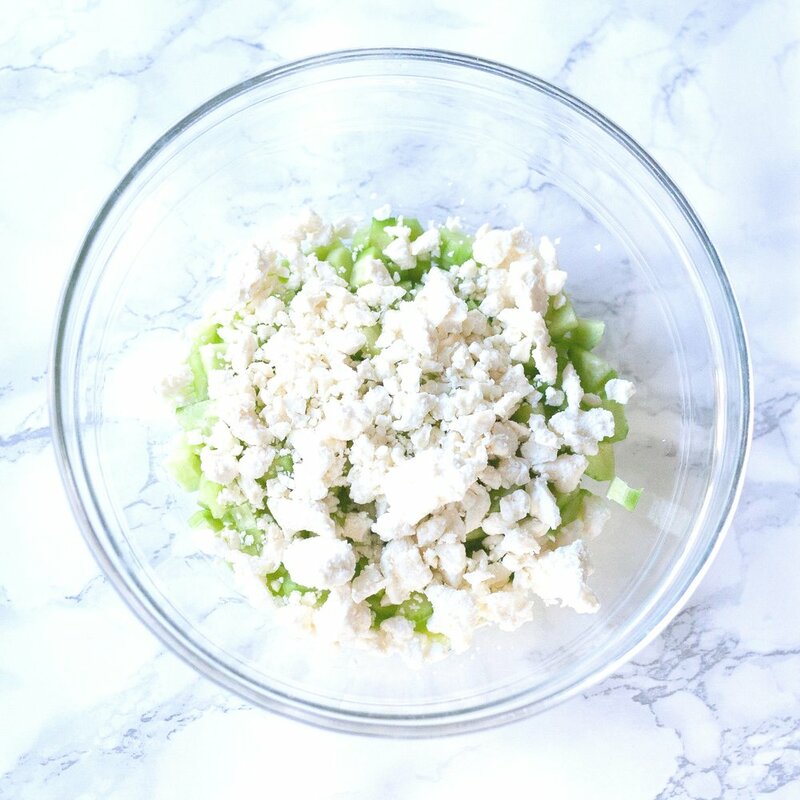 Break feta into small chunks. Add in chickpeas and toss to combine. Drizle with olive oil and lime. The most important thing to remember when making a salad is to have a respectable 'lettuce' to 'goodie' ratio. That means not overloading with lettuce and having to dig for the toppings at the bottom of the bowl. I avoid this completely by making salads without lettuce! In about 20 minutes, you can roast a can of chickpeas to toasty perfection, and everything else just needs a little chop-chop. 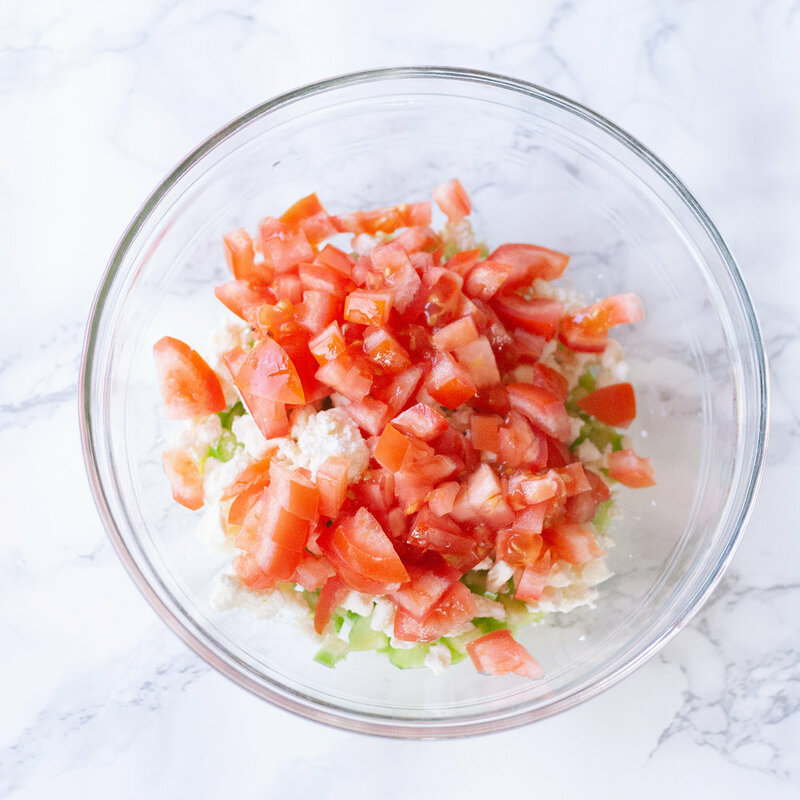 I make this salad for breakfast, lunch, and dinner, so it's about time I share it with the world.